The chameleon – a phenomenon of nature. It stands for high adaptability and copes well with the most diverse living conditions, temperatures and humidity levels. For an optimum camouflage, it adjusts its colour to the surroundings. The eyes of a chameleon can move independently from one another and allow a visual field of 342o. Additionally, it has special lenses that enable it to see things at a distance of one kilometre. All these are qualities that we have looked out from the chameleon. Because, for the implementation of complex special components, it is extremely important to be able to understand the situation and the point of view of the project partner and to adapt to the conditions. However, sometimes it is also necessary to remain independent, in order to bring one’s own ideas at the right place. Vision is another essential attribute in order to be able to conduct projects in a more predictive and sustainable manner. 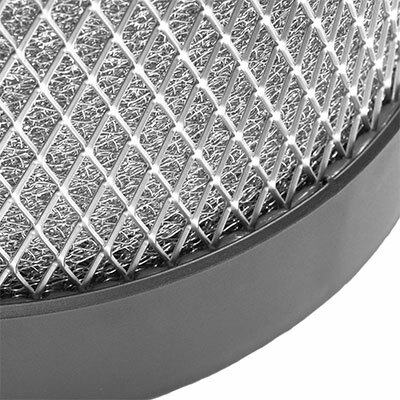 In the field of special components, there are countless uses for wire meshes. Simply stated, it is employed in multiple applications; on the one hand for surface enlarging, on the other hand as a flexible and though robust and plane material. Our experienced project team ensures a guided and safe development and project process. We show hereunder a list of the options available in the complex of knitted-wire special components. 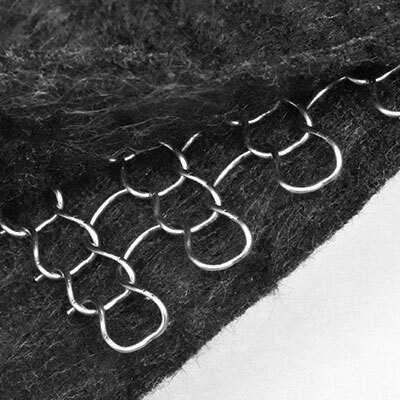 Our special components made of or in combination with knitted meshes cover a wide range of applications. 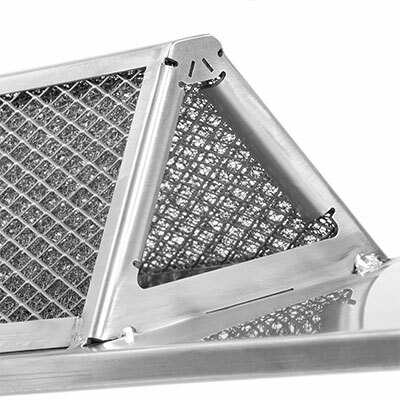 Products like explosion-protection filters, cut-protection meshes, full cords, pressed parts, components for fuel cells, front claddings, design meshes, special heating components, multi-filament knits, and special exhaust air filters represent a small extract from our portfolio. It always amazes us to confirm how versatilely wire- or combined-meshes can be used. Some sales markets for special components include kitchen technology, sound insulation, heating technology, insulation, food industry, medical technology, petrochemical industry, process engineering, architecture, energy technology, industrial filtration and chemical industry. A constant optimization of project management is very important to us. Towards the sustainability of a development, we seek for a close and trusting collaboration with our customers and project partners. During all processes, we must ensure a high quality standard. That is why we rely on modern and self-developed manufacturing processes and on an ongoing quality-oriented and resource-efficient processing. We mainly employ German and European materials and work exclusively with reliable and competent suppliers.